This course will examine the realities, theories and job market trends involved in career counseling. Educators will review the context of the human relationships involved when choosing various career options. 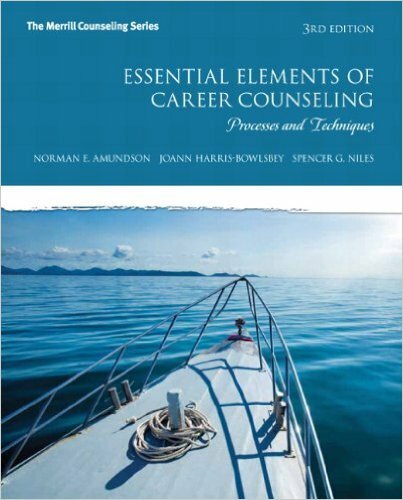 Student/Client concerns and problems that are related to knowing "thy-self" when exploring career possibilities are explored. Counselors will learn about the latest career centers and technologies for researching career demographics. Educators will develop writings, action plans or activities that assist students with career searches and evaluating the process for use in counseling settings. Educators will examine the myths and realities of career counseling as well as the latest theories and technological developments in career counseling. Teachers will review the context of career planning and the relationships involved within the various disciplines and the associated responsibilities. Counselors will be presented with strategies for defining and addressing student concerns, decisions and the problems they will encounter in self-understanding. Students will be able to use career counseling websites to access trends in labor markets and get guidance for making a virtual career center at their school. Teachers will develop writings that use action plans, career planning, consolidating career decisions and evaluating student progress in counseling settings.